An affordable, stylish place to stay, The East London Hotel has an informal bar and restaurant and some of its 161 rooms overlook the V&A Museum of Childhood's gardens. 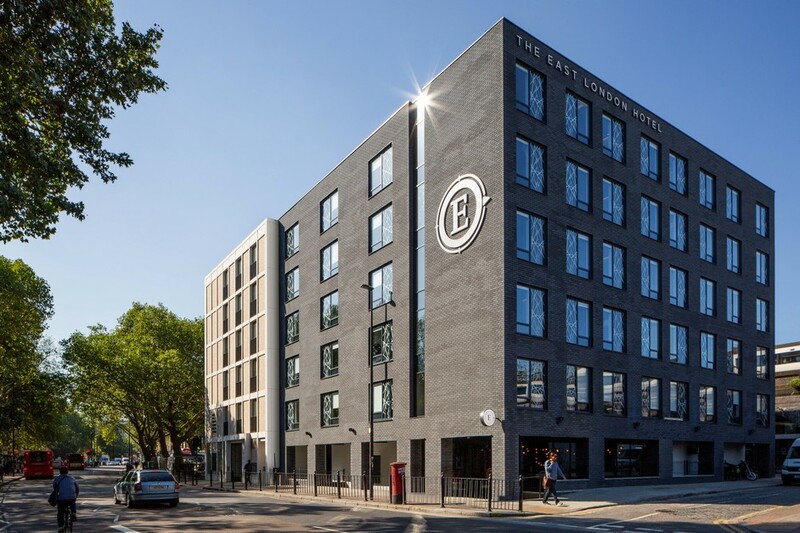 Well located for an overnight stay in East London, the independent hotel is a two or three minute from Bethnal Green Underground Station from where the central line takes you to the West End in thirteen minutes. Stay local and you can enjoy all the restaurants and bars of Paradise Row - which m any of the hotel's rooms overlook. It's not much further to Columbia Road Flower Market , Brick Lane and leafy Victoria Park - all within easy walking distance. Some rooms can be interconnected for families and all rooms come with super comfy Millbrook mattresses - made with cashmere, silk, lamb's wool and cotton - Nespresso machines, shower gel by Rituals and 43-inch smart TVs. C ocktails, craft beers and locally sourced dishes are served at Due East, the in-house bar and restaurant, where suppliers includes local companies like Grind Coffee, E5 Bakery , East London Bagels, Red Church Brewery and the East London Liquor Company . Are you booking for a group of people? If you are making a booking for a group of people and require over 10 rooms, you may prefer to speak to the Group Booking Department for The East London Hotel bookings. Special deals can be arranged for groups, including discounts and arrangements for adjacent and inter connecting rooms if required. Call the Groups Reservations Department on 020 7292 2307. The best way to book a group deal is to complete the online form for group reservations at The East London Hotel. What are the best dining options near The East London Hotel London? The East London Hotel gyms, sporting activities, health & beauty and fitness. The best pubs near London The East London Hotel. The East London Hotel clubs, bars, cabaret nights, casinos and interesting nightlife. Where to have your meeting, conference, exhibition, private dining or training course near The East London Hotel. From cheap budget places to stay to luxury 5 star suites see our special offers for The East London Hotel hotels, including Holiday Inn London - Whitechapel from 94% off.